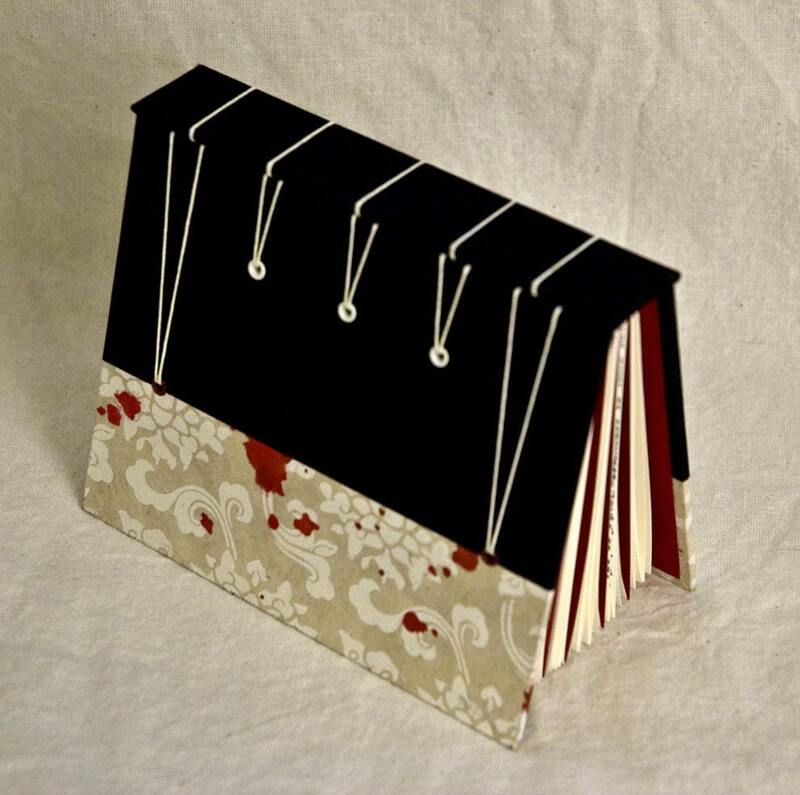 Bookbinding Etsy Street Team: The BEST Zombie Award goes to... PART 1! 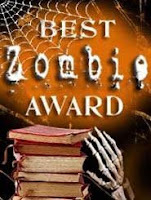 For the second year in a row, Sara of RePaper.Etsy.com has won the BEST Zombie Award! It was a tie this year with Rhonda of MyHandboundBooks.Etsy.com, but Sara made sure to defend her title well with her "Vampire Diary" book, a fierce entry for the contest. Sara retains all of the graphics and bragging rights for yet another year! Her "Vampire Diary" book was made to look like "a vampire's fangs, tipped red." She cleverly used a Belgian binding stitch along the spine of the book to create this effect. "Blood" is also splattered along the outside, and the inside contains scattered pages of printed text from "Dracula". Even the cover and endpapers, made of red satin, looks like a vampire's cape. This book is perfect for your frenzied fanged friends! Based in Atlanta, Georgia, Sara has created many wonderful books which you can check out at her Etsy shop, RE: Paper. Thanks all! And Congrats to you too Rhonda!